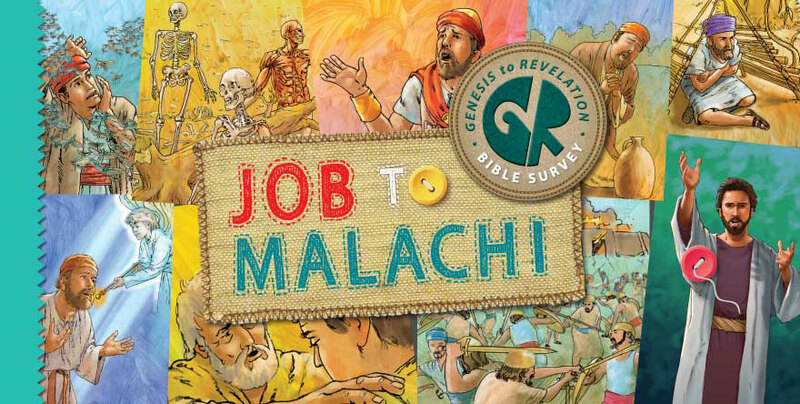 In this study, your preteens and teens will tackle something rare for even adults in the church—a study of the 22 Poetry and Prophets sections of the Old Testament. This whirlwind tour has a common thread: God’s story of redemption through Christ. Click here to see 13-lesson overview (master plan). The Poetry books are Job, Psalms, Proverbs, Ecclesiastes, and Song of Solomon. Biblical poetry includes many figures of speech and vividly describes images and intense emotions. Your kids will resonate with the struggles of life that these books portray as well as the comfort God provides in his Word. The five books of the Major Prophets are Isaiah, Jeremiah, Lamentations, Ezekiel, and Daniel. There are 12 Minor Prophets—from Hosea through Malachi—called that only because they are shorter in length than the Major Prophets, not because they are less important. All of the prophets spoke for God during three periods of the history of God’s people: during the divided kingdom, during the exiles to Assyria and Babylon, and during the return of the faithful remnant. God called the prophets to warn Israel and Judah to repent and of his coming judgment. They also proclaimed the hope and certainty of salvation through the Messiah to come.